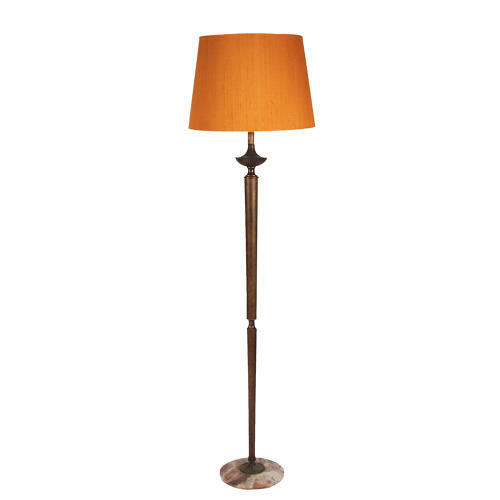 A brass and bronzed floor lamp with marble base. Pictured with a bespoke, handmade, silk shade. Height is to the top of the light fitting.